Expedited delivery choices to any location worldwide (using FedEx, UPS, USPS or DHL), with expert guidance on tracking, customs, and more, ensures Postal Connections gets your goods there on time and safely. Trade alliances with several of the nation’s largest logistic companies enable Postal Connections stores to offer convenient, competitively priced shipping of large and heavy items. Postal Connections stores are all USPS-approved shippers, offering a complete selection of postal products, including stamps, Priority and Express Mail, and more. Postal Connections eBay Drop Off Centers offer customers a way to turn unused or unwanted items into cash. We take care of all the work; when the item sells customers pay us a sales fee and we send them a check. With our experience and expertise we know the best methods for selling on eBay, Amazon and other internet platforms to get the best prices and fastest results. Both black-and-white and color copy services (self- and full-serve) are available using the latest high-speed machines to ensure quick turnaround, crisp reproduction and extremely competitive pricing. Our stores offer hi-quality printing services from business cards to brochures to banners to much much more with size, ink and stock options and small to large jobs all with rapid turn around. We’ll help you eliminate your hard-copy clutter, as well as transmit file attachments, via our printing/scanning and digital storage equipment. Access to internet, ecommerce, email and document production is offered. Most popular software is available and access fees are reasonable. Postal Connections stores offer mailbox rental service, with dedicated physical addresses for business or private use, as well as mail forwarding/holding, package receiving, and electronic notification when mail is in. Virtual mail service is available. 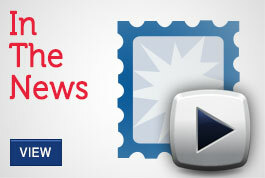 When mail arrives customers are notified online with a scan via email of the contents. Customers can let us know what to send to them, what to discard and, if desired, what to open, scan and send to them. Mail can be received online anywhere the next day. Customers can send or receive documents domestically and internationally with 100% security and confidentiality. Need a folder? Inkjet Cartridge? Marker? Paper clips? We stock these and several other types of everyday office supplies — including tape, staples, labels, pads, printer paper, and more — for complete one-stop-shop convenience. A convenient service for customers needing to update their passports or personal IDs. All our Postal Connections locations have certified notary publics on staff, offering ease and convenience for important, yet often hard-to-find service.